Founded in 1932, this is the oldest film festival in the world, set against the stunning backdrop of the historic Venice Lido with films being shown in the historic Palazzo del Cinema. Celebrities, VIPs and high-profile film bosses flock to the city each year to attend screenings, glamorous parties and galas, as well as wining and dining in the picturesque city’s finest restaurants. If you are planning to visit don't miss our guide on how to survive the Venice Film Festival on a luxury yacht. Founded in 1932, this is the oldest film festival in the world, set against the stunning backdrop of the historic Venice Lido with films being shown in the historic Palazzo del Cinema. Celebrities, VIPs and high-profile film bosses flock to the city each year to attend screenings, glamorous parties and galas, as well as wining and dining in the picturesque city’s finest restaurants. If you are planning to visit don't miss our guide on how to survive the Venice Film Festival on a luxury yacht. 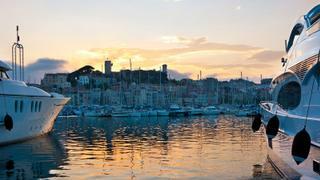 The 40th Cannes Yacht Festival will see nearly 600 boats moored in the two beautiful harbours of Vieux Port and Port Pierre Canto. The event has been taking place every September since 1977 and this year some of the best luxury yachts will be heading to the festival in addition to exciting new tenders and luxury offerings from some of the world's biggest brands. One of the best ways to end your season in the French Riviera, it's the perfect late summer spot for parties, socialising, superyacht-spotting and inspiration for your next vessel. 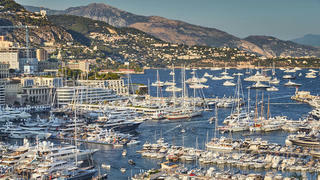 The 40th Cannes Yacht Festival will see nearly 600 boats moored in the two beautiful harbours of Vieux Port and Port Pierre Canto. The event has been taking place every September since 1977 and this year some of the best luxury yachts will be heading to the festival in addition to exciting new tenders and luxury offerings from some of the world's biggest brands. One of the best ways to end your season in the French Riviera, it's the perfect late summer spot for parties, socialising, superyacht-spotting and inspiration for your next vessel. The biggest yacht show in the superyacht calendar, the Monaco Yacht Show offers visitors the chance to get up close and personal with some of the world’s finest yachts. Located at the heart of Monaco, this super-luxe show is the epitome of class and sophistication. Start planning your visit now with our guide to the best luxury hotels in Monaco and the best fine-dining restaurants. The biggest yacht show in the superyacht calendar, the Monaco Yacht Show offers visitors the chance to get up close and personal with some of the world’s finest yachts. Located at the heart of Monaco, this super-luxe show is the epitome of class and sophistication. Start planning your visit now with our guide to the best luxury hotels in Monaco and the best fine-dining restaurants. 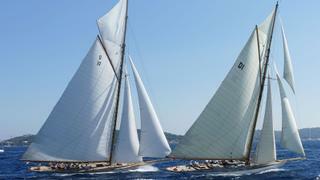 Yachties should cruise to this stunning spot for Les Voiles de St Tropez, or The Sails of St Tropez, where hundreds of modern and traditional sailing yachts gather for an exciting series of races in a variety of classes. The spontaneous inaugural event took place in 1981, when two boats, Ikra and Pride raced from the Tower of Portalet to the famous Club 55. It's the perfect event for those enjoying the best of the French Riviera, cruising west from St Tropez along the Mediterranean coast. Yachties should cruise to this stunning spot for Les Voiles de St Tropez, or The Sails of St Tropez, where hundreds of modern and traditional sailing yachts gather for an exciting series of races in a variety of classes. The spontaneous inaugural event took place in 1981, when two boats, Ikra and Pride raced from the Tower of Portalet to the famous Club 55. It's the perfect event for those enjoying the best of the French Riviera, cruising west from St Tropez along the Mediterranean coast. The Save Posidonia Festival will take place in Formentera in order to raise awareness for sustainable tourism and conservation of the natural environment. With 76.5 million square metres of Posidonia surrounding the island, you can sponsor and name one square metre for €1. During the festival, visitors will enjoy stand up paddleboard yoga classes, live art exhibitions, cinema screenings, charity auctions, music events and a public beach clean-up. Coinciding with the UN's Year of Sustainable Tourism for Development in 2017, the event looks to celebrate and protect the UNESCO World Heritage Site known as 'the Natural Park of Ses Salines d'Eivissa and Formentera'. It's the perfect stopping point for anyone spending a few days in the Balearics on a superyacht. The Save Posidonia Festival will take place in Formentera in order to raise awareness for sustainable tourism and conservation of the natural environment. 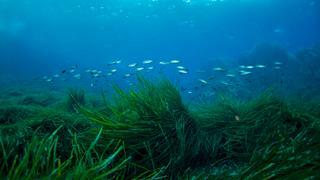 With 76.5 million square metres of Posidonia surrounding the island, you can sponsor and name one square metre for €1. During the festival, visitors will enjoy stand up paddleboard yoga classes, live art exhibitions, cinema screenings, charity auctions, music events and a public beach clean-up. Coinciding with the UN's Year of Sustainable Tourism for Development in 2017, the event looks to celebrate and protect the UNESCO World Heritage Site known as 'the Natural Park of Ses Salines d'Eivissa and Formentera'. It's the perfect stopping point for anyone spending a few days in the Balearics on a superyacht.